Even though I am a native to San Francisco, I know there’s still so much of the city I haven’t explored. But I do have a few favorite places to eat, learn, and hang out. If you happen to be in San Francisco, here are my top recommendations to have on your itinerary. Greens: A higher end restaurant with fantastic interior decor and a stunning view of the bay. I would especially recommend this for a daytime meal so you can enjoy the view of the water. Usually very busy, so calling ahead is ideal. Vegetarian and vegan friendly. Millennium: Another classy restaurant, this is a great spot for a date night! The cuisine is amazingly delicious and the service is extremely attentive. The entire menu is vegan. Hella Vegan Eats: A wonderful food caravan most often located in Dolores Park, Hella Vegan Eats has an ever changing but always delicious menu. Perfect for grabbing a bite to eat and enjoying a sunny day relaxing on the grass. Daily menu usually posted to their Facebook page. 100% vegan menu. Ferry Building Farmer’s Market: Ideal for grabbing fresh, local products for a picnic lunch on a hike, the beach, or just wandering around the city. I’ve gotten such supplies here and taken them across the Golden Gate bridge to the lookout for a wonderful picnic lunch. Off the Grid SF: The San Francisco food truck scene keeps growing and this meeting spot is a collection of some of the best the city has to offer! Great for a casual night out with lots of choices for everyone. Mifune: Since I spent so much of my childhood in Japantown, I have to have this gem on this list! Delicious and a great break from exploring the surrounding shops. Good Eggs: If you’re in San Francisco for an extended time and looking to stock up on some groceries, this wonderful site offers both pick up and delivery of local products. They have everything from snacks and prepared meals to produce and other goodies! Golden Gate Park: One of the best spots in the city to engage in a variety of activities. From museums (next section) to the Botanical and Tea Garden. Often various festivals are held here as well. Dolores Park: A wonderful place to hang out and relax. On a nice day, this park is filled with people socializing and is a great place for people watching. Giants’ Stadium: If you’re visiting during baseball season, catch a game at AT&T Park! Always a fun time and with a beautiful view of the water. Angel Island: A great reminder of history, Angel Island was basically Ellis Island for the West Coast. A great learning center is located here as well as a few idyllic picnic and hiking spots. You can even sail in from the shore. Golden Gate Bridge Overlook: Located just after you get across the bridge going away from the city, this is the perfect spot to view the skyline in all its glory. California Academy of Sciences: One of the best science museums I have been to, they always have amazing and education exhibits. The BioDome and Planetarium are simply stunning. They also have Thursday night events for the 21+ crowd, check their website for the week’s theme. de Young Museum: An extensive art museum located just across from the California Academy of Sciences. Always features fascinating exhibits! Asian Art Museum: Constantly full of outstanding art collections. Exploratorium: Just relocated and expanded to a new location on the pier, this is an excellent museum for all ages that focuses on learning through experiencing. They also have special Thursday evening events, details of which can be found online. Japantown: Featuring various shops full of quirky items common in Japan, perfect for getting your fix of cute products and tasty treats! Several times a year there are also festivals, most notably the Cherry Blossom Festival in spring. Tech Companies: San Francisco is headquarters to many well known tech companies and smaller start-ups. This is a chance to see their headquarters from the outside, and if you’re lucky, from the inside. Public Transportation: This includes both the SFMTA and BART. Either cash for paying per ride or passes can be purchased. Easy to use a combination of both to get around the city, especially if you use Google Maps to route your way. Bike Cab: If you want something a little unique. Thanks to Andrew for inspiring this post! 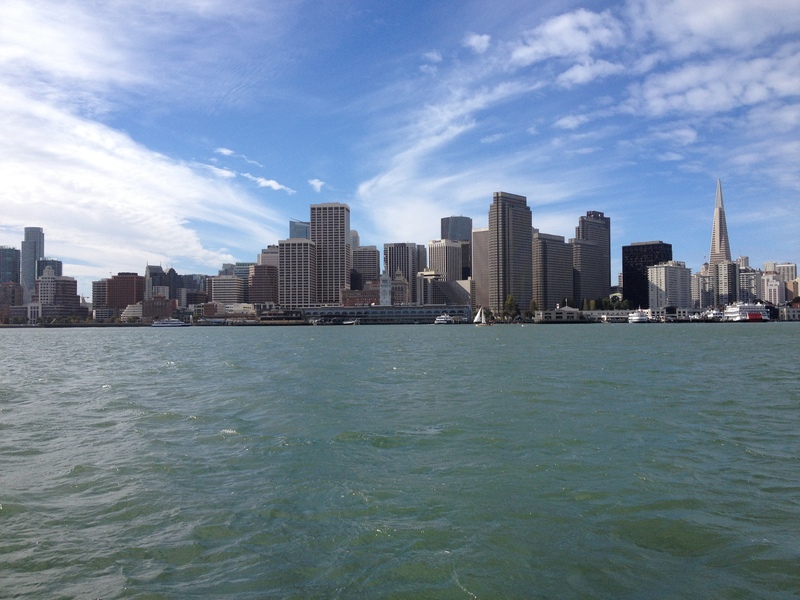 If you have any questions about what else you should see or do while in San Francisco, tweet at me! Enjoy your trip! Hi Heather! Thanks for your recommendations. I specially like your restaurant choices. Will definitely check ’em all out before I go! Hi Alex, hope you have a great trip! Thanks for reading!